Laboratory trials during 2005 at a research institute in London resulted in findings that Black Elderberry is 99% effect against the Avian Flu (H5N1) virus. During the flu epidemic in Panama in 1995, Elderberry juice was used to treat people with the flu virus. At the Bundesforschungsanstalt research center in Karlsruhe, Germany, scientists conducting studies on Elderberry showed that elderberry anthocyanins enhanced immune function by boosting the production of cytokines. These unique proteins act as messengers in the immune system to help regulate immune response, thus helping to defend the body against disease. Further research indicated that anthocyanins found in Elderberries possess appreciably more antioxidant capacity than either vitamin E or vitamin C. According to the University of Maryland Medical Center, Elderberry may decrease swelling in mucous membranes, such as the sinuses, and relieve nasal congestion. The fruit contains flavonoids, including rutin, quercitrin and kaempferol etc., phenolic acids, e.g. chlorogenic acid, pectin, and sugars. The leaves contain triterpenes similar to those found in the flowers. Cyanogenetic glycosides, and sambunigrin and flavonoids including rutin and quercitin, fatty acids, alkanes, tannins. The bark contains phytohaemagglutinins. Black Elderberry elixirs and tinctures are known to contain the strongest antiviral effects since the synergistic extraction of the berries contain a higher concentration of proteins that prevent viruses from entering cells. It is recommended as a daily tonic throughout the cold and flu season. Used as a tonic for arthritis and rheumatism. Note: Do not let up on the dosage as the Elderberry must stay consistently in the body for it to do its job boosting the production of cytokines. Elderberry appears to have few side effects when used properly for short periods of time (up to 5 days). Pregnant and breastfeeding women should not take elderberry. If you have an autoimmune disease, such as rheumatoid arthritis or lupus, ask your doctor before taking elderberry, as it may stimulate the immune system. If you are taking immune system suppressants such as corticosteroids to treat autoimmune diseases, you should not take Elderberry. As with any diuretic that will flush the system, taking Elderberry for a lengthy period of time can lead to dehydration and electrolyte depletion if you are not drinking enough water. 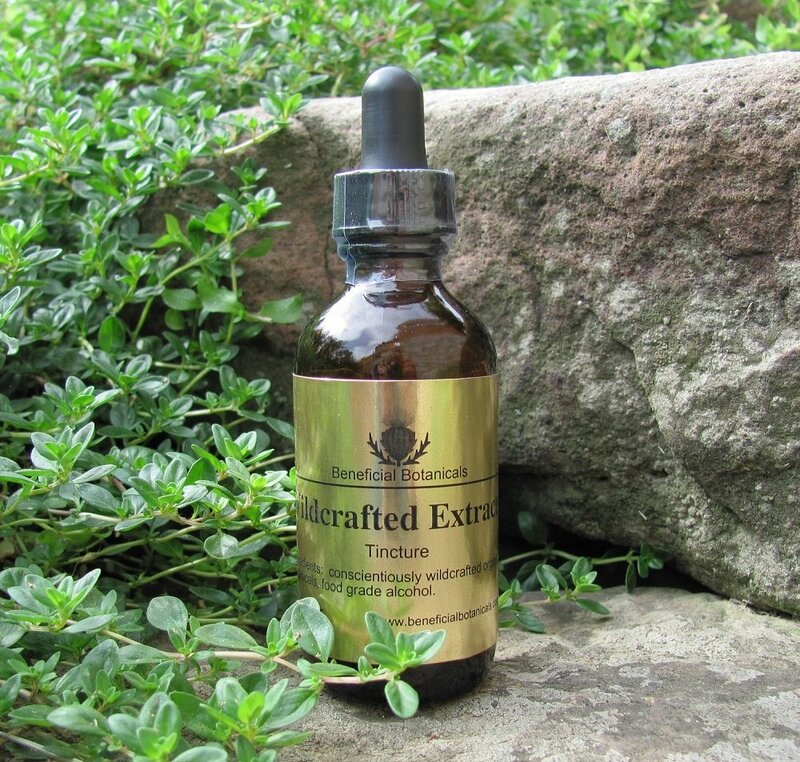 Do not take this tincture while taking a laxative. Elderberry may decrease blood sugar and increase the risk of developing low blood sugar, or hypoglycemia, according to the Penn State Hershey Medical Center. If you are taking medications such as insulin or metformin to regulate blood sugar, you may need to monitor your blood sugar more closely when taking this tincture. researchgate.net/publication/259696401 "An Evidence Based Systematic_Review of Elderberry and Elderflower Sambucus nigra by the Natural Standard Research Collaboration"
Gray AM, Abdel-Wahab YH, Flatt PR. The traditional plant treatment, Sambucus nigra (elder), exhibits insulin-like and insulin-releasing actions in vitro. J Nutr. 2000;130(1):15-20. Roschek B, Fink RC, McMichael MD, et al. Elderberry flavonoids bind to and prevent H1N1 infection in vitro. Phytochemistry. 2009;70:1255-61. Uncini Manganelli RE, Zaccaro L, Tomei PE. Antiviral activity in vitro of Urtica dioica L., Parietaria diffusa M. et K. and Sambucus nigra L. J Ethnopharmacol. 2005 Apr 26;98(3):323-7. Vlachojannis JE, Cameron M, Chrubasik S. A systematic review on the sambuci fructus effect and efficacy profiles. Phytother Res. 2010 Jan;24(1):1-8. Review. Zakay-Rones Z, Thom E, Wollan T, Wadstein J. Randomized study of the efficacy and safety of oral elderberry extract in the treatment of influenza A and B virus infections. J Int Med Res. 2004;32:132-40.